Posted in Video. Tagged acid, japanese, MC-202, TB-303, TR-606. Posted in Video. Tagged acid, japanese, RE-201, TB-303, tr-707. Posted in Video. Tagged documentary, TB-303. Posted in Video. Tagged famous, patterns, TB-303. 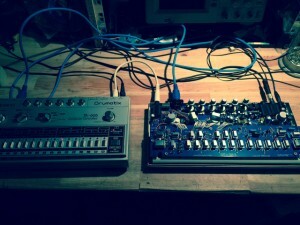 Din Sync are going to be releasing a new clone of the highly acclaimed Roland TB303. They are going to call it the RE-303. The RE-303 is being touted as a replica for the original tb-303 motherboard & switchboard, so much so Din Sync feel they could be used as replacements in the original tb-303. They managed to create such accurate boards by disecting mint condition tb-303s. There is one catch. The RE 303 comes as an assemble yourself kit where you will have to source many of the parts yourself, such as the CPU. Many of the parts are readily available. 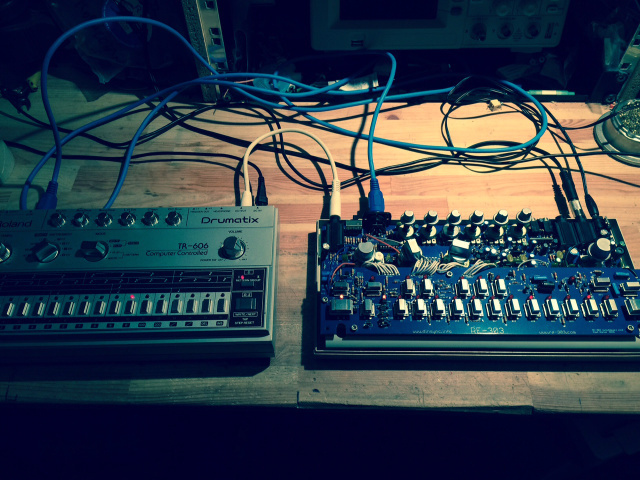 If you can’t get hold of an original 303 cpu then you can use the quicksilver one. Acidtechno.co.uk feel this could be a huge put off for most except the hardened enthusiasts. We have lifted a video from http://www.synthtopia.com where you can see more pictures and FAQ. Posted in TB-303 Clone. Tagged clone, Din, Sync, TB-303. The TB-303 was released by Roland in 1982. It is an analogue oscillator that has 2 waveforms. The TB-303 is used by programming a sequence of notes and timing. It was originally produced for keyboardists, drummers etc but was later picked up by DJs and producers because of its distinctive sound. The TB-303 was originally used with the 606. Later it was used in line with 808 and 909. The 2 waveforms the 303 produced was sawthorn wave (simple, single-transister waveshapeing circuit) or square wave . It uses a simple envelope generator which has a decay control on it. The lowpass filter on it has a -24db octave attenuation and controls cut off frequency & resonance. The acid sound was created by producers by making the TB303 overdriven to create a harsher liquid sound. Posted in Equipment. Tagged acid, house, roland, TB-303, techno.